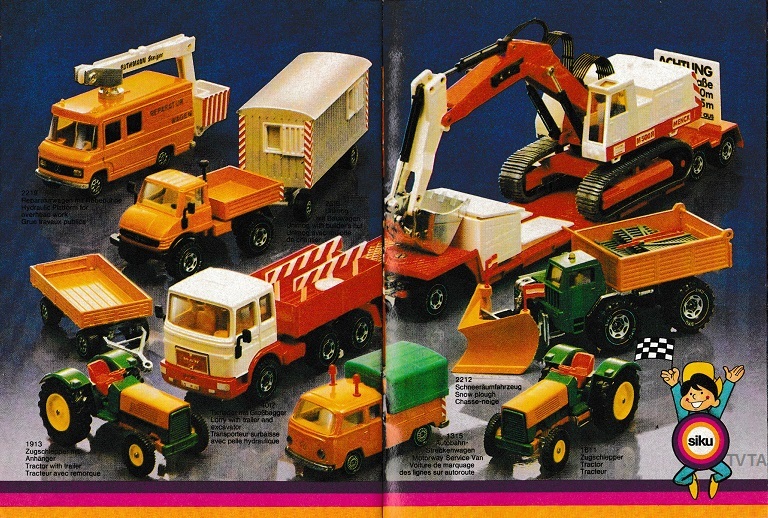 That’s great you still have those from childhood. 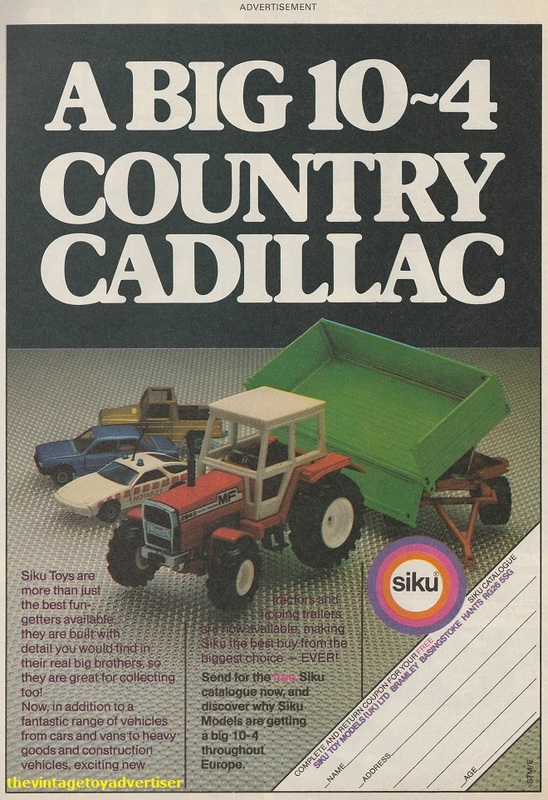 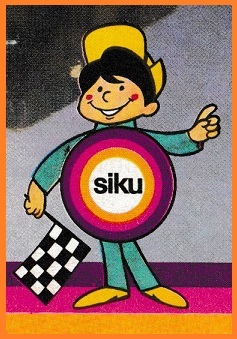 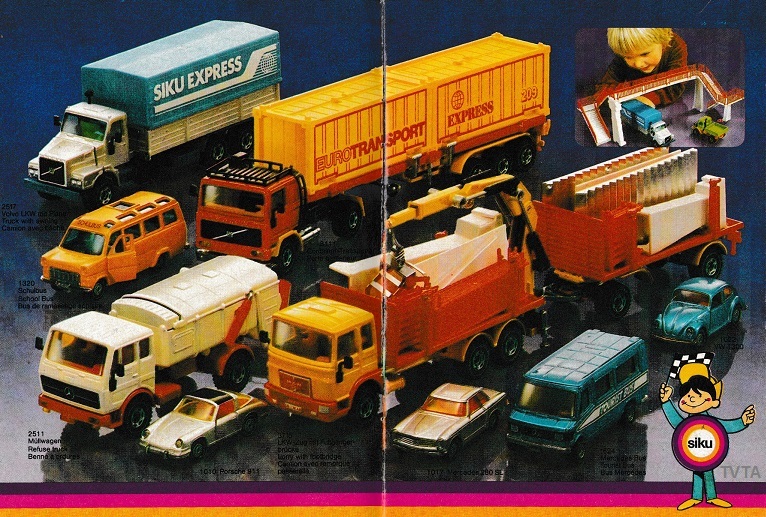 I read that the quality of Siku was very high, for example the wheels had lots of details and came with rubber tyres. 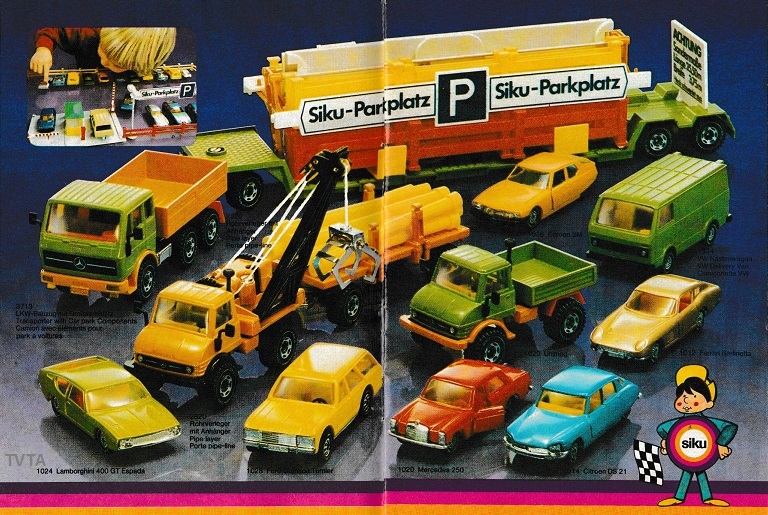 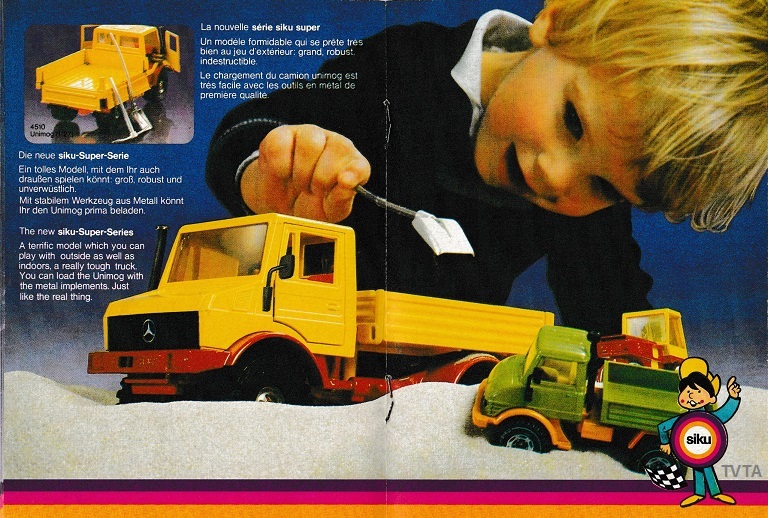 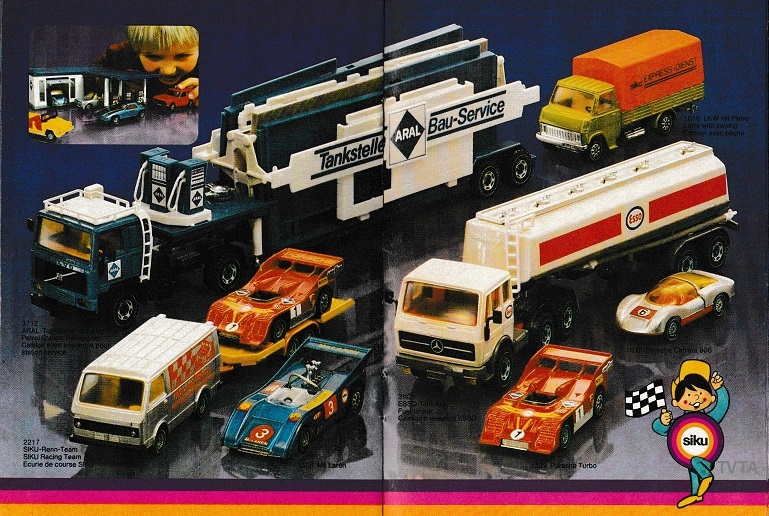 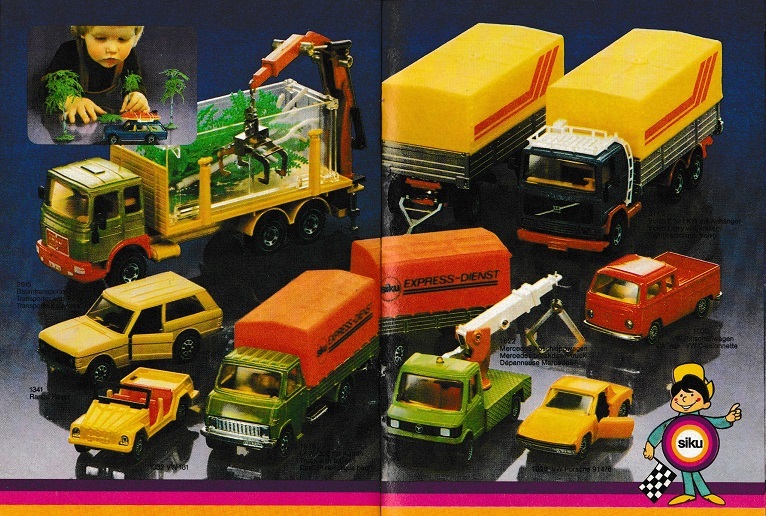 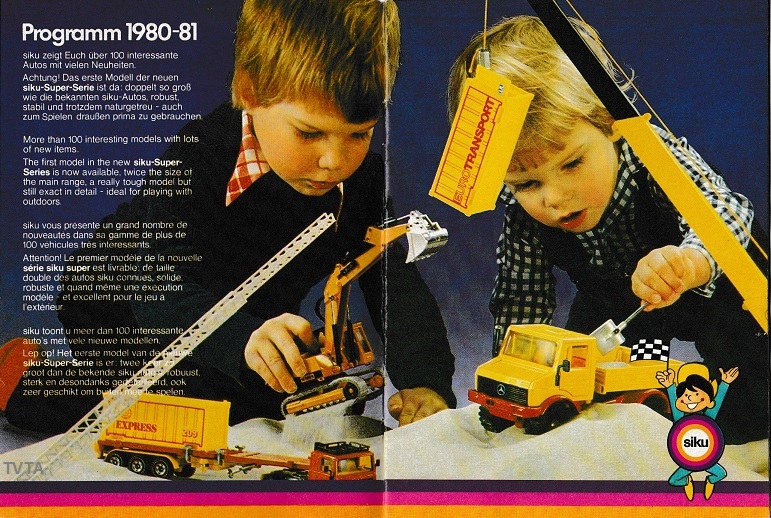 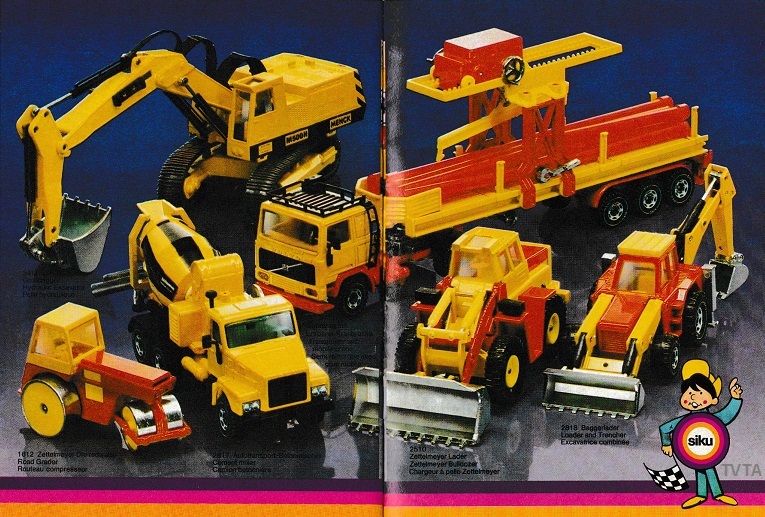 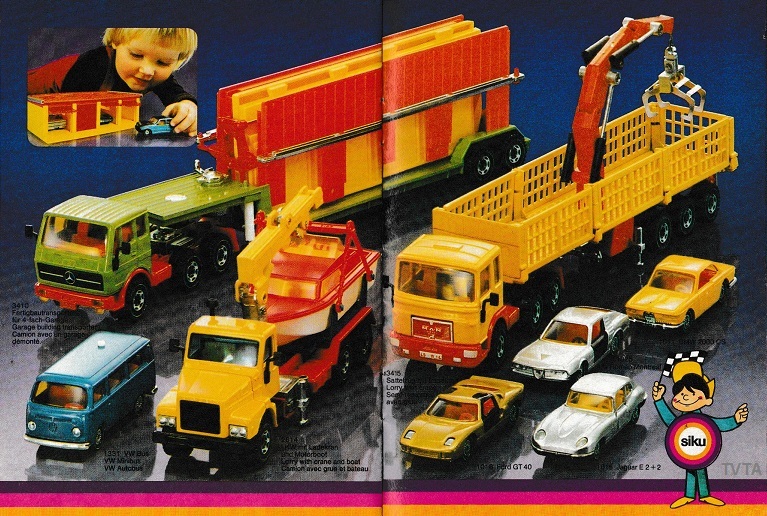 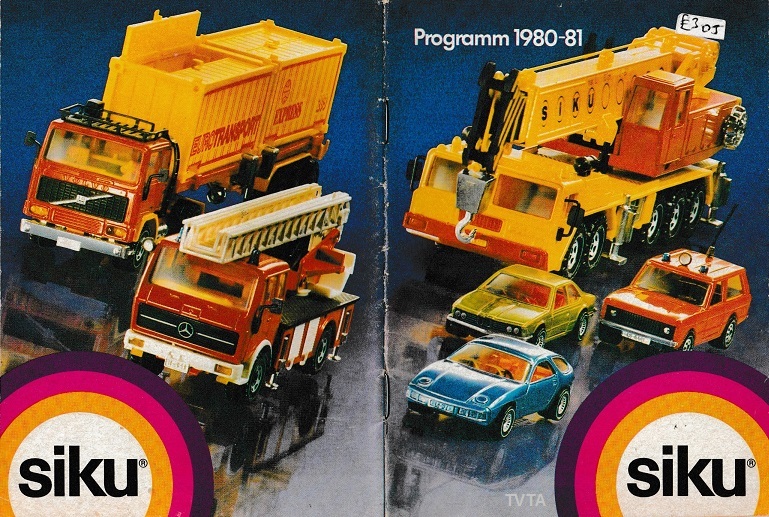 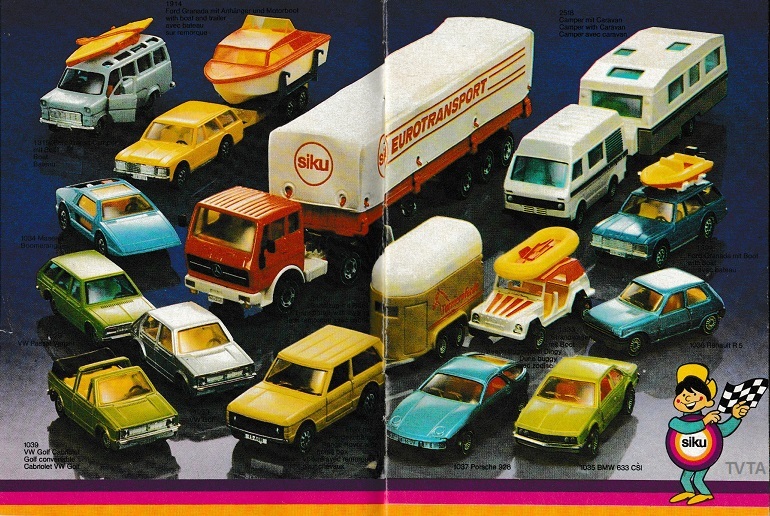 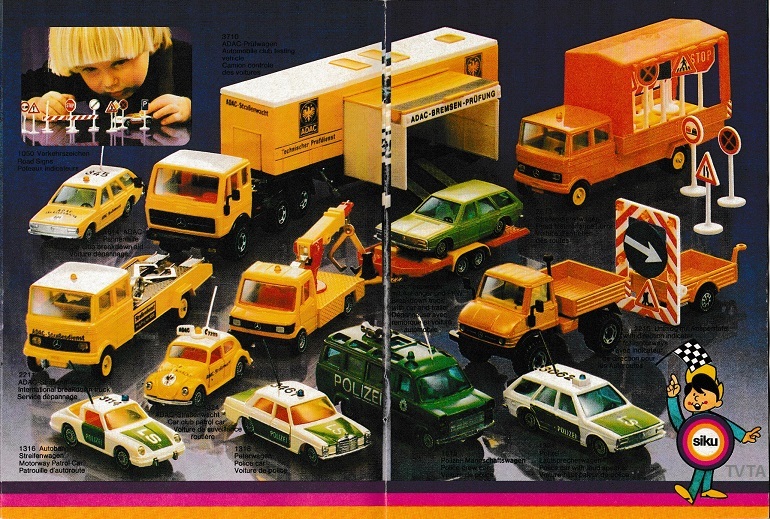 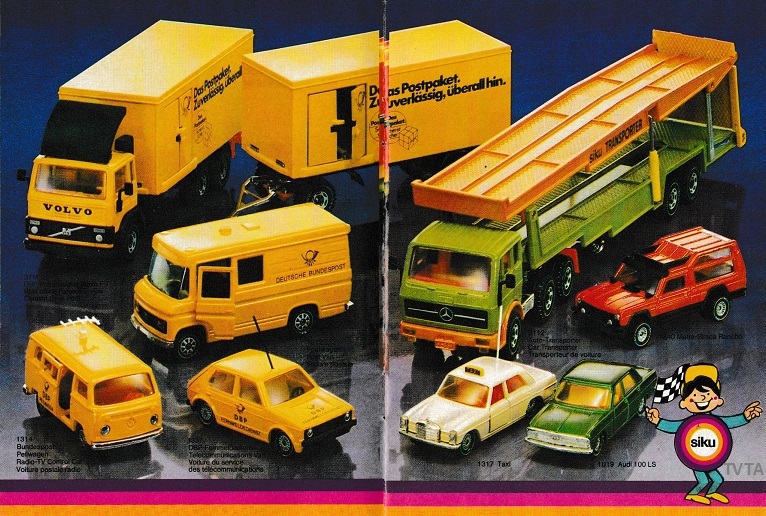 On the catalogue scans I like the idea of the transporter trucks that carried the pieces you could assemble into garages, bridges etc. 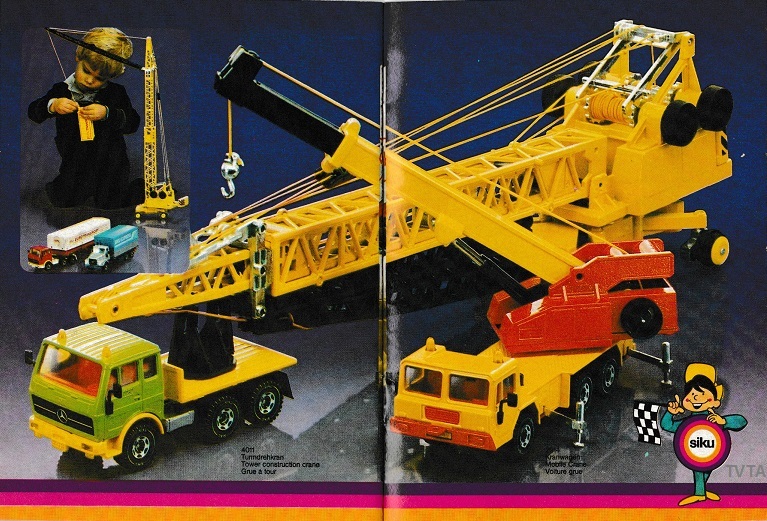 A really good idea.